Harvey Kubernik was a guest on Lisa Finnie’s Masters of Song program on KCSN. 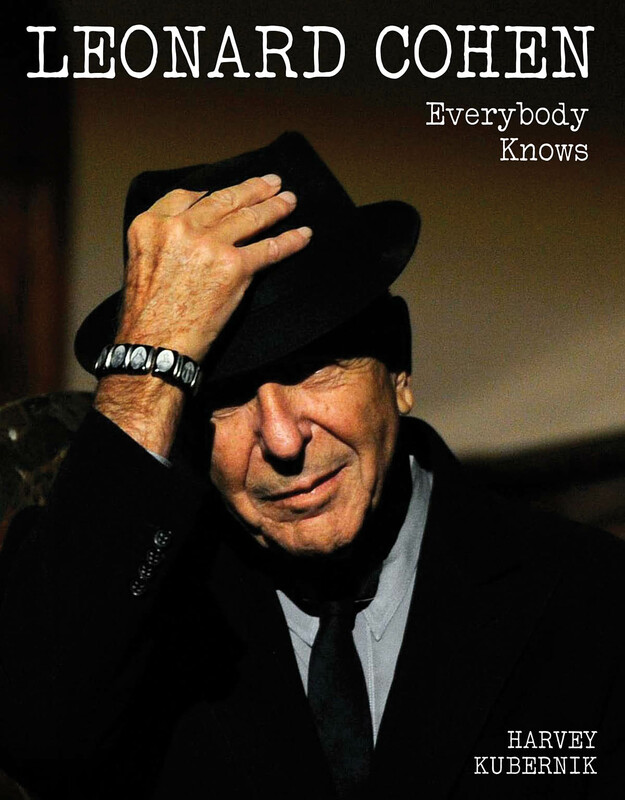 Hear their discussion on Harvey’s new book, Leonard Cohen: Everybody Knows, as well as some samples from Leonard’s newest album! No other contemporary songwriter has created a body of work of such consistent quality, and such singular emotional and intellectual brilliance, as Leonard Cohen. His smoke-black vocal style navigates the most sophisticated and arresting of melodies in songs infused with romance, innuendo, and humor. Arriving at the ’60s pop-music party fashionably late, Cohen released his debut album – Songs of Leonard Cohen – in 1967. At 33 years of age, he was the adult in the room, a room brimming, then as now, with literary pretension and artistic self-importance. But Cohen, already established as a respected poet and novelist, was the real deal. In the decades since, he has battled with drugs, love, and bankruptcy; become a Buddhist monk while simultaneously reaffirming his Jewish faith; and recorded 11 more albums of unfailingly affecting beauty. Beginning with Cohen the young poet and author in his home town of Montreal and ending with his 2012 release – Old Ideas – and recent acclaimed live performances, Everybody Knowshonors Leonard Cohen’s 80th birthday by celebrating his genius and tracing his rise to stardom through 200 photographs and the thoughts, memories, and reflections of those who have both worked with and been inspired by him. Posted on November 14, 2014, in Music Fans and tagged author interview, Backbeat Books, Harvey Kubernik, Leonard Cohen, Leonard Cohen: Everybody Knows, listen, podcast, Popular Problems. Bookmark the permalink. Leave a comment.